The frame of a once proud pine tree stands tall in Kawuneeche Valley of Rocky Mountain National Park. Other pines, some living, some only with their frames remaining in tact rise up above this lone pine. 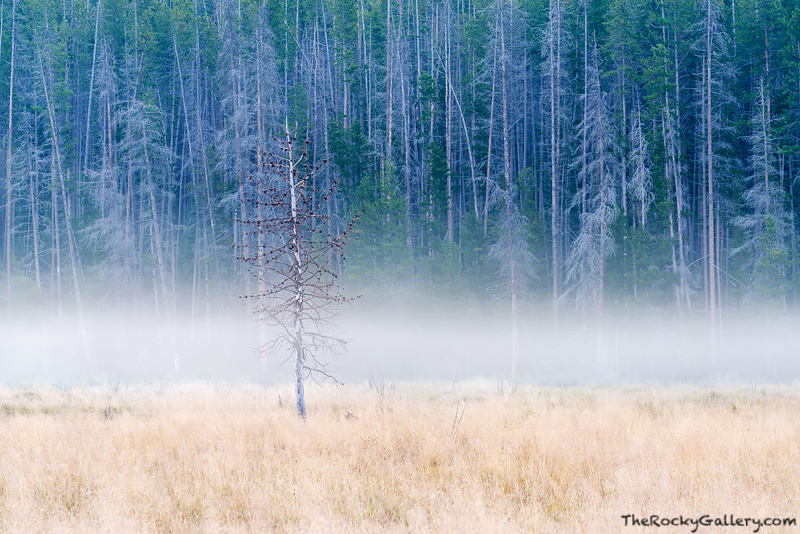 The pine beetle has taken some of the trees on the west side of Rocky Mountian National Park, but one can still find beauty in the contrast left behind. Photo © copyright by Thomas Mangan.